Seattle, March 28: Two men were killed and a man and a woman were critically injured in a shooting incident in Seattle city of the United States, the police said on Wednesday. The gunman, who opened fire on several vehicles, including a Metro bus, was arrested following the shooting which took place on Sand Point Way. The accused is a Sand Point resident, the Seattle Police said in a statement. The suspect approached a female driver at an intersection and shot her before walking into the street and firing on a southbound Metro bus. The driver was struck by gunfire, but was able to turn the bus around and head north, away from the gunman, the police said. The suspect then approached a second motorist, in a red Prius, and opened fire, killing the driver, they added. U.S. Says Pakistan Must 'Deliver Outcomes' to Build Trust in Bilateral. As cops arrived, the gunman climbed into the Prius and fled the scene at a high rate of speed. He collided with another vehicle a short distance away, killing the other driver. Cops chasing him were able to take him into custody after a brief standoff, the police said. He was taken to Harborview Medical Center where he is currently under police guard. The suspect sustained nonlife-threatening injuries in the gunfight, the police said. He was yet to be identified. None of the victims were immediately identified. 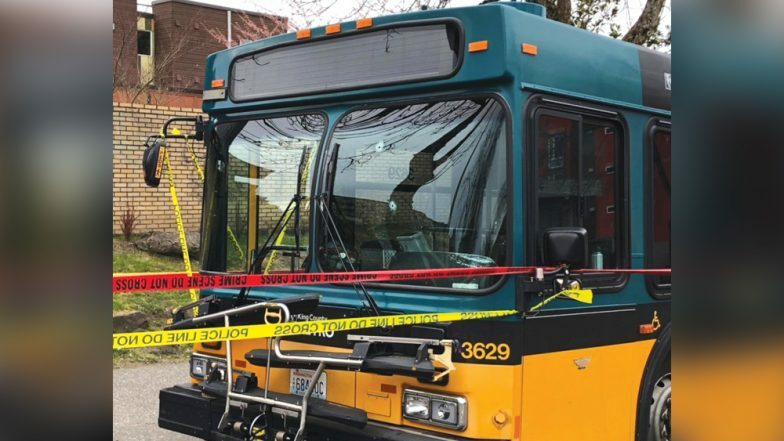 King County’s Metro transit authority said on Twitter that the bus driver had activated an emergency alarm to report being struck by gunfire, and that none of his 12 passengers was injured.